There are those who call it the “food of the czars.” Others see it as gourmet black gold. But the most popular and appreciated caviar doesn’t come from Russia or Iran. The country that supplies one-fourth of the worldwide production of sturgeon eggs (40 tons per year out of a total of 160 tons) is Italy. Of these, 25 tons come from Agroittica Lombarda, which breeds this most prestigious of fish species in about 60 acres of tanks in Calvisano (near Brescia) and Cassolnovo (near Pavia). It is the largest aquafarming operation in Europe with strict health and hygiene standards and a production process that is 100% eco-friendly. The company’s brand Calvisius, which has sales of 25 million euros per year with exports accounting for 90% of business, has won over starred restaurants, airlines, luxury hotels and gourmet shops throughout the world. “In the last year in particular, in contrast to the overall macro-economic situation in Italy, we have seen consumption grow a great deal on the domestic market,” Lelio Mondella, general director of Agroittica Lombarda explains to MAG. “Currently, almost all Italian chefs prefer Calvisius, including Massimo Bottura for one.” In his Osteria Francescana restaurant, Bottura uses “our Ars italica Oscietra Royal,” but Gualtiero Marchesi uses it as well in his famous dish that combines spaghetti and caviar. 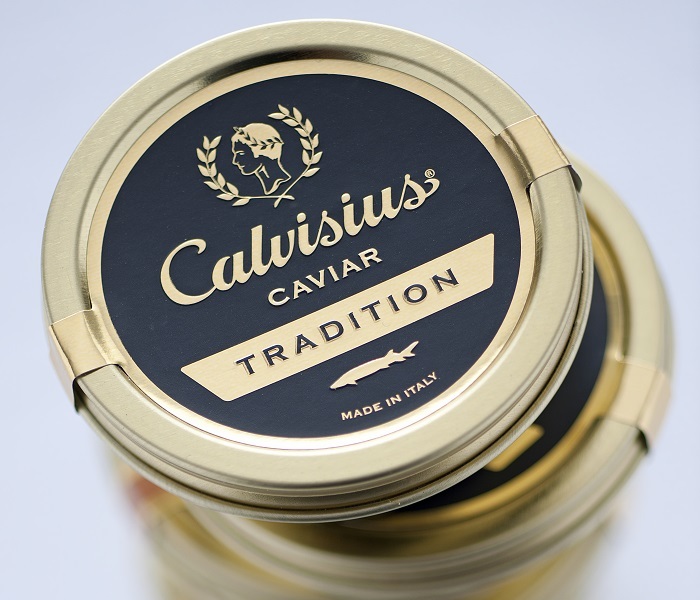 The main export countries for Calvisius, in order of importance, are the United States, Russia (despite the embargo), France/Belgium, Hong Kong and the United Arab Emirates. The company has also become the main caviar supplier in first-class cabins airline cabins for the likes of Lufthansa, Singapore Airlines, Thai Airways and Cathay Pacific. Sales director Stefano Bottoli explains how future marketing strategies include making the most of new packaging, with 10-gram tins that cost 16 euros. This is the perfect size to allow two people to taste the delicacy, and it makes the product more accessible to the public. The origins of Agroittica Lombarda’s success date back to 1977 when industrialist Giovanni Tolettini decided to utilize the hot water generated from his steelworks in Calvisano together with pure resurgent waters to create the perfect environment for farming various fish species. The turning point came in the 1980s when Gino Ravagnan, a long-time partner in the company, met Russian professor Serge Doroshov, a marine biologist at the University of California, Davis. After consulting with Doroshov, Agroittica Lombarda stopped breeding eels and began breeding white sturgeon. In 1992, in addition to producing and packaging sturgeon meat, the company began harvesting and selling very high-quality caviar via the traditional Russian “Malossol” method, which is low in salt, meaning that the taste of the eggs is much more delicate. Agroittica has gradually won over the market thanks to the purity of the water it uses, its rigorous health and hygiene standards and its highly sustainable technologies. The Washington Convention of 1998, which included sturgeon in its list of endangered species, was an important moment for the company. This limited the amount of harvesting that could be done with wild species of sturgeon and was a boon to the Italian company’s aquafarming operation. Since 2000, the Calvisius brand has launched in the United States, France, Great Britain, Asia and has even conquered “motherland” Russia. Who knows if those in the land of the czars know that the largest breeding operation for caviar in the world is in Calvisano, Italy.